Fake Coffee Cold Brew with Maple and Pink Himalayan Salt | Big Heart Tea Co.
Our herbaceous blend of cacao, chicory, dandelion root and cinnamon. It looks like a cup of coffee and feels like a cup of coffee and it kind of tastes like one too. 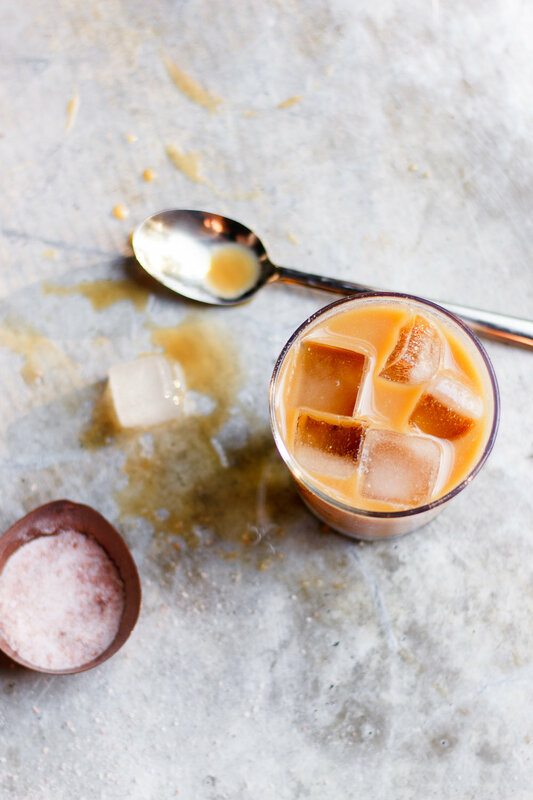 Right now our favorite way to consume it is by cold brewing it, lightly sweetening it with maple syrup and rounding the flavors off with a little pink Himalayan salt. Cold brew the Fake Coffee according to these how to cold brew tea instructions. Combine the Fake Coffee cold brew with the milk, maple syrup, pink Himalayan salt and ice in a jar with a lid and shake until well-combined and frothy. Pour into into a glass and drink immediately. Reprinted with permission from With Food + Love. Big News: The New BHTHQ!